Opening a new restaurant? Do you want to improve your current commercial kitchen? Regardless of your situation, follow these 3 steps to follow to accomplish your dream commercial kitchen. Developing or renovating a commercial kitchen is a major investment. As a business owner, you want to make the right choices. Properly evaluating your needs is crucial for a sustainable and functional outcome. Each kitchen is unique and should answer your specific needs (menu, cooking techniques, restaurant size, etc.). From refrigeration, cooking appliances, dishwashers, furniture, dishes, to cutlery, a commercial kitchen specialist can help you choose the right equipment. 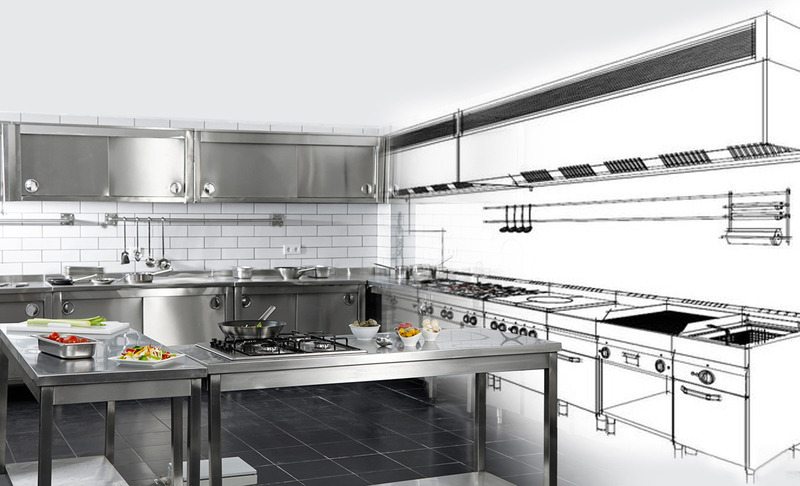 Making detailed plans is an important step to ensure your commercial kitchen will be adapted to your needs. A team of experts can help you complete your project successfully. Plans developed by specialists are precise and thorough, leaving little to no room for errors. By helping you plan every detail, a commercial kitchen specialist will save you time, energy and money. A stress-free building, renovating, or updating your commercial kitchen is possible. How? Let a specialist manage your project! Specialists will deal with architects, designers, and engineers so you will never be caught off guard. Our team offers turnkey solutions and will complete your project without a hitch, every step of the way. Once your project is completed, you will receive all technical manuals and warranties, and a list of manufacturer-approved maintenance companies. We can even provide training sessions for your new appliances! Make sure your consultant is CFSP approved. CFSP’s purpose is to elevate industry standards in North-America. For a professional kitchen that meets all your needs, contact our team today!